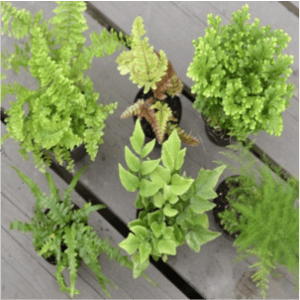 There are many gorgeous varieties of ferns that thrive in low light, including the Button Fern, Maidenhair Fern, and Rabbit’s Foot Fern. 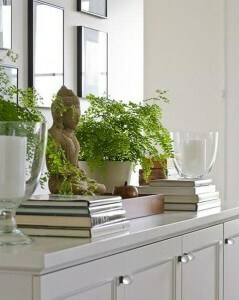 All of the varieties do well in either bright or low light. 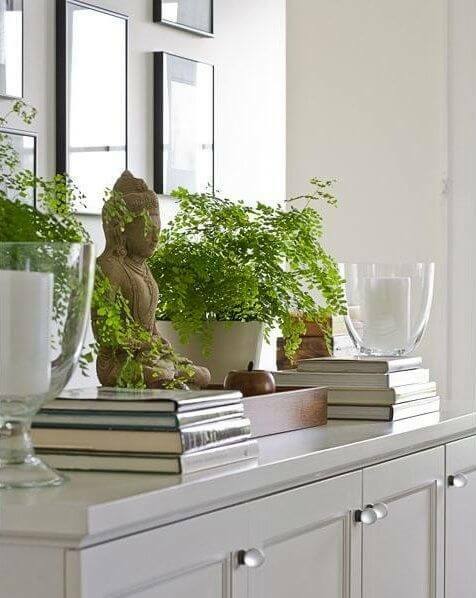 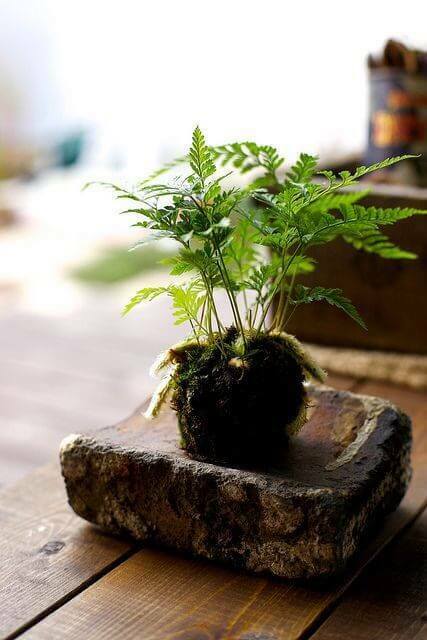 Ferns have been a popular choice for houseplants ever since the Victorian era and the beginning of the houseplant craze!